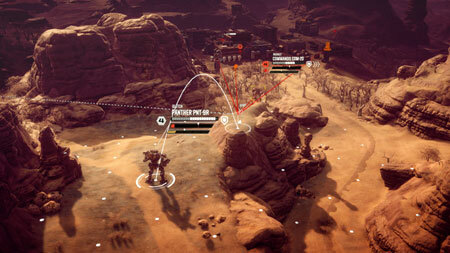 BattleTech is a turn-based tactical strategy game developed by Harebrained Schemes. The galaxy is trapped in a cycle of perpetual war, fought by noble houses with enormous, mechanized combat vehicles called BattleMechs. Take command of your own mercenary outfit of Mechs and the MechWarriors that pilot them, struggling to stay afloat as you find yourself drawn into a brutal interstellar civil war. Upgrade your starfaring base of operations, negotiate mercenary contracts with feudal lords, repair and maintain your stable of aging BattleMechs, and execute devastating combat tactics to defeat your enemies on the battlefield. Deploy over 30 BattleMechs in a wide variety of combinations. Use terrain, positioning, weapon selection and special abilities to outmaneuver and outplay your opponents. Immerse yourself in the story of a violently deposed ruler, waging a brutal war to take back her throne with the support of your ragtag mercenary company. If you get stuck in the game, check out the video walkthrough and gameplay for the game. This entry was posted in PC Games, Walkthrough and tagged BattleTech Cheats, BattleTech Game, BattleTech Gameplay, BattleTech Guide, BattleTech Hints, BattleTech Review, BattleTech Solutions, BattleTech Strategy, BattleTech Tips, BattleTech Walkthrough by Marvin. Bookmark the permalink.